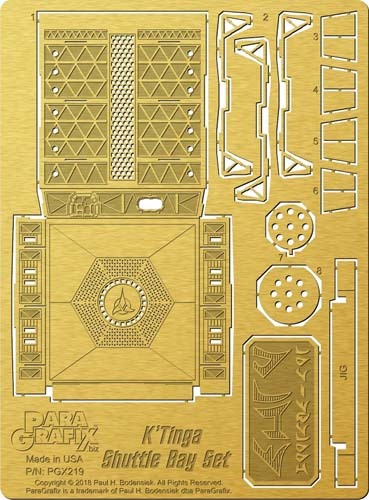 Add a highly detailed, easily lit* shuttle bay to the new 1/350 Klingon K'Tinga-class Battle Cruiser from Polar Lights. Please note that this shuttle bay is completely speculative since it was never actually seen. All details have been designed by ParaGrafix to work within the visual style of the K'Tinga as seen onscreen as well as other Klingon vessels and architecture used throughout the Star Trek universe.